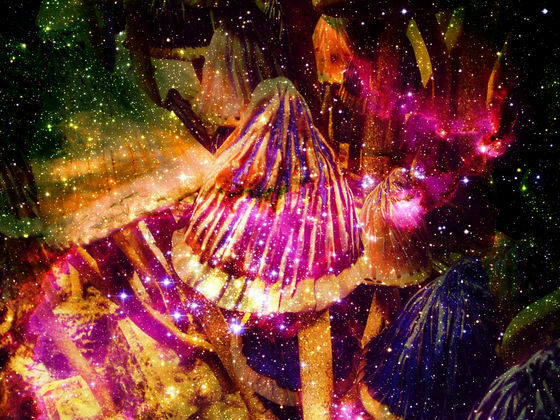 Magic mushrooms areShiloh SibinIt is a mushroom containing ingredients with hallucinogenic actions such as possession and use in many countries including Japan prohibited by law. 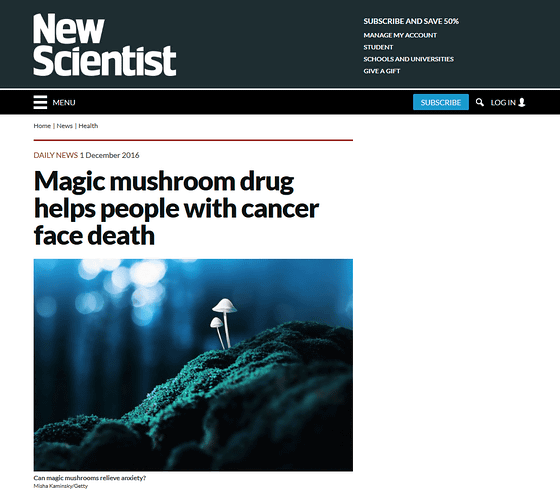 It turned out that when such a magic mushroom was used for psychotherapy of a cancer patient, depression and anxiety derived from cancer were significantly alleviated, and the feeling of happiness of life was increased. Furthermore, these effects will last more than six months. 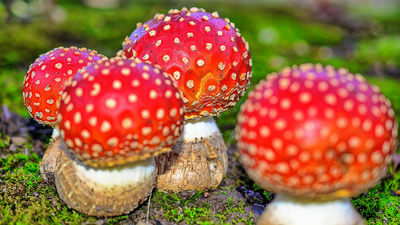 Although the psyllidin contained in the magic mushrooms is considered illegal worldwide, in recent years the physiological mechanism of psilsibin has been reviewed, and several studies that have been found to be potentially effective have been revived. Already in small-scale experiments, the effect of psilocybin on alcohol dependence, opium poisoning, depression, anxiety neurosis, etc. has been recognized. Cancer patients may also have symptoms such as depression and chronic anxiety in addition to physical symptoms, suggesting the possibility that psilocybin is effective for psychotherapy of cancer patients. Johns Hopkins University and NYU Rangon Medical Center gathered 80 people who had complications of depression and anxiety in cancer patients and conducted two kinds of tests. The first test is to go through two psychotherapy sessions and see the progress and participants take either a high dose of psyllibbin in the first session or a placebo medication with a low dose of psilocybin in the first session , 5 weeks ~ 7 weeks after taking the medicine of those who did not take in the previous session. The other test is almost the same process, but I changed the placebo drug to vitamin B3 and observed the course. At each session participants were blindfolded, listened to music and urged to focus on internal experience. Participants were evaluated for the efficacy of psyllidinism by measuring blood pressure and heart rate, clinical based tests and questionnaires. These evaluations were conducted before each session and six months after the session and also interviewed the participants 'families, friends, work associates, and also investigated the satisfaction of the participants' lives. As a result of the two tests, psyllibbin causes a marked decrease in depression, anxiety neuropathy, and mood disorder resulting from cancer patients, and the quality of life, the significance of life, the optimistic way of thinking accepting death etc. I found that the numerical values ​​shown improved. In addition, it is known that these effects were sustained by 80% participants in the evaluation after 6 months. Researchers said, "After participating in the test, participants began thinking more deeply about their values, influencing how they lived, how they interact with people around them, and so on." Although there were reports of nausea, headache, temporary anxiety, etc. in the test, it was said that serious side effects were not confirmed throughout. "About 50% of cancer patients have anxiety and depression, but the current antidepressant drugs are less effective than placebo drugs," said Steven Ross, principal investigator at the NYU Rangon Medical Center. I am talking. Mr. Ross said that it is necessary to conduct a larger test, and if the same effect as this test is reproduced, it can become a prescription drug of depression and anxiety derived from cancer if it reproduces it We insist. When using LSD What is the state of the brain?